Days 1-4 you will be eating whole vegetables, healthy oils, herbs, lemon, and fresh clean water. Days 5-8 you will eat whole vegetables, healthy oils, herbs, lemon, fresh clean water with the addition of non-gluten, whole grains. It’s recommended that you start on a Saturday, so look for a good Saturday to start your cleanse on and mark the calendar! Everyone reacts a little differently to the first few days of a cleanse so you may want to plan a nice weekend at home relaxing! Start checking the local grocery stores, farmers markets, and co-ops for organically grown produce. Consult with your doctor or health care professional, making them aware that you are considering doing any cleanse. 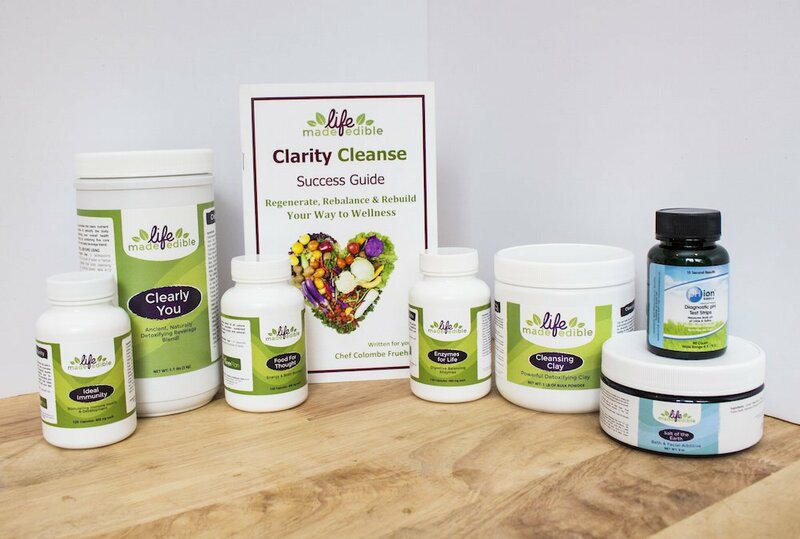 If you haven’t already done so, Order your Clarity Cleanse. If you have already received your Clarity Cleanse, read through this packet. Tip – You can order most of the above items online if you can’t find them at your local grocery store. Go grocery shopping to purchase your produce. Be sure your pH strips and log journal are in the bathroom.